We appreciate your support as a Corporate Partner of our association! NCHIMA is very proud to have one of the most active Component State Associations in the nation, with many talented Health Information Management professionals who are active in our association. If you would like to become a Partner, click here. 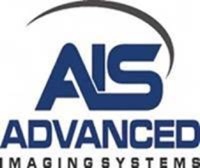 AIS is a strategic Information management company who assist customers better manage the flow of their most critical data. We help our customers implement solutions, mitigate risk, streamline process and help increase efficiency of staff for their Information. EMI provides secure information management solutions with a unique blend of state of the art quality measures and innovative CLOUD access. Utilizing award-winning software and scanners to provide HIPAA compliant CLOUD access to protected health information, EMI continues to lead the way to a new generation records management. HRG is the largest U.S.-based, employee-owned revenue cycle management company in the nation. Founded and focused on quality and delivering exceptional customer service, HRG develops customized solutions to fully optimize medical revenue cycles for partners of all sizes across the country. Health Information Management (HIM), Patient Financial Services (PFS), Consulting and Management, our specialists and technologies offer relevant and timely assistance wherever you need. KIWI-TEK provides partnership coding solutions for hospitals, health systems and physician practices. Founded in 2002, KIWI-TEK is one of the nation’s largest independently-owned coding companies with proven HIM experience to manage denials, ensure DRG accuracy and meet discharged-not-final-coded goals. Our Partnership Coding services lower your coding costs while ratcheting up quality, productivity and turnaround times. Only certified, domestic coders ensure the highest levels of quality and compliance in the industry with flexible, customized service agreements to support both facility and professional fee coding. LexiCode, an Exela brand company, provides innovative HIM solutions from remote coding support to full audit services. Moxe Health solves communication for clinicians and payers so they can collaborate in real time. They automatically send the clinical information needed for risk adjustment, HEDIS and Star ratings, claims denial management, HCC reconciliation, care gap management, and ADT notifications. Other solutions dodge interoperability or multiply human error, putting the problem off for the future; Moxe solves it. Keep digital data digital! MRO empowers healthcare organizations with proven, enterprise-wide solutions for the secure, compliant and efficient exchange of Protected Health Information (PHI). These solutions include a suite of PHI disclosure management services comprised of release of information, government and commercial payer audit management and accounting of disclosures. MRO’s technology-driven services reduce the risk of improper disclosure of PHI, ensure unmatched accuracy and enhance turnaround times. The School of Biomedical Informatics (SBMI) is one of six schools at The University of Texas Health Science Center at Houston (UTHealth) located in the Texas Medical Center—the largest contiguous medical center in the world.